Library BEAR > Handicrafts > 2. Japanese Kimono is Reincarnated! 2. Japanese Kimono is Reincarnated! 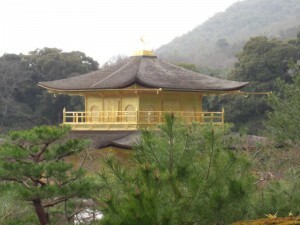 In Kyoto, which is the ancient capital of Japan, there are a lot of temples and shrines. This area has attracted a lot of tourists both from in and out of Japan. Japanese people used to wear kimono in their daily life. After the Meiji Restoration in 1868, the Westernization of their lifestyles rapidly spread throughout Japan. Due to the influence of Western culture, more people came to wear Western clothes, and fewer people chose kimono. Since the end of World War II in 1945, the Westernization of Japan has further progressed. In Japan, however, up to the mid-20th century, the custom had been quite common that the bride’s family let her take a lot of kimono with her to her new home. However, once couples started a new life, there were very few opportunities for women to wear kimono because of the Westernization of the Japanese lifestyle. As a result, a lot of kimonos have been left unworn in drawers at home. Today, Japanese women do not wear kimono in their daily lives anymore because it requires a special laborious technique to put it on. On special occasions, however, they wear kimono such as graduation ceremonies, wedding ceremonies, and the Coming-of-Age Day to celebrate young people reaching the age of 20. 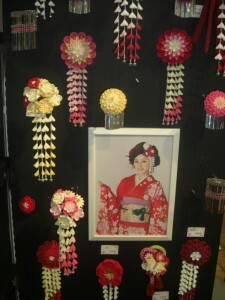 One woman living in Kyoto who had been interested in maintaining Japanese traditions started a kimono accessory shop. She was aware of the popularity of this niche market where women were looking for pretty accessories which would go with the kimono they wear on special occasions. The name of the shop is Oharibako, which means a sewing box in Japanese. 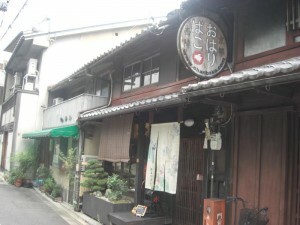 She transformed a traditional Japanese house in front of Daitokuji Temple into the shop. Now she runs the shop with her son. She is in charge of accessory designing and production; he is in charge of marketing. They buy old kimono from customers. At Oharibako, they unstetch the kimono, make the patterns of the products, cut them according to the patterns, and sew them into the kimono accessories such as hair accessories, bags, purses, pen cases, business card holders, key chains, and so on. As of December 2012, six women were working in the workshop, and 30 women were working at home. 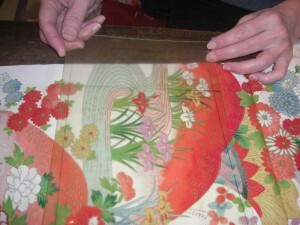 The women working in the workshop are in charge of cutting large kimono cloth into small pieces and allocating the tasks for the needlewomen working at home. If you bring an old kimono to Oharibako, you could order whichever product you want. That would be uniquely yours in all over the world. They sell their products on the Internet, too. Those who once visited Oharibako as tourists check the Oharibako website later and place orders through the Internet. Approximately 60% of sales come from the on-line market. If you want to look at more products of Oharibako, please visit their website http://www.oharibako.com. 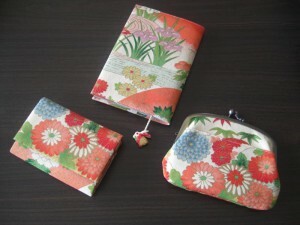 The website is written in Japanese, but I hope you can enjoy the photos of the lovely products.